Westlake Hills Vision Center (Austin) - Book Appointment Online! When you first set foot inside our office, you’ll immediately be welcomed by our friendly Austin optometric staff. Our goal is to ensure that you feel as comfortable and relaxed as possible as soon as you walk in, as we understand just how nerve-racking it can be to visit a new eye doctor for the first time. Dr. Susan Elizondo takes great pride in offering every patient the best in eye and vision care. Whether she’s conducting a comprehensive eye exam, helping with a pair of hard-to-fit contacts, or helping to diagnose and treat an eye condition/disease, our Austin optometrist strongly believes in taking a patient-centered approach, carefully explaining all treatment options, and making sure you’re well informed. Dr. Elizondo also fits Ortho K or Corneal Reshaping lenses. 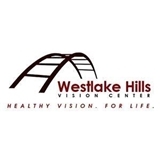 Westlake Hills Vision Center is passionate about the environment and tries to adjust things in the practice to be as environmentally friends as possible from reusable coffee cups to laminated intake forms and recycling in the office. She also promotes diet and lifestyle changes for maintaining healthy vision for life. Westlake Hills Vision Center also has a full service optical with name brand frames such as Tom Ford, Burberry, Maui Jim, and Ray Ban. Need contacts? you can order those through us as well. Need surgery? We co-manage with several ophthalmologists in town for LASIK, Cataract, and Glaucoma surgeries if needed.